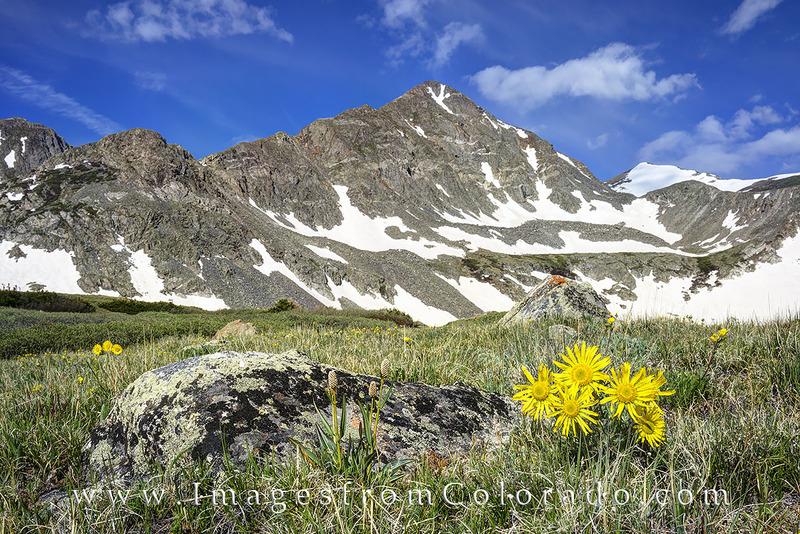 Colorado wildflowers fill the meadows of the Crystal Lakes hike near 12,000 feet in elevation. Upper Crystal Lake and Crystal Peak near Breckenridge are possible final destinations for this hike, but the scenery along the way makes it a nice morning no matter your destination. Photo © copyright by Rob Greebon.